January 27, 2018, 2:17 PM · My last conversation with the violinist and conductor Anshel Brusilow was a week before he died. "I was thinking of you in the middle of the night! I dreamed a story you absolutely have to write!" he said. I was used to Anshel’s plans for new projects. But this took me by surprise, the sudden energy, when lately he had been too ill to talk. "It’s about a young man swimming in the ocean, and a monster octopus grabs his foot. He’s yelling for help, but there’s a problem." I saw several problems with the story plan, but I just asked, "Well, does he get rescued?" "Yes! He does!" He laughed. In 1960, the Philadelphia Orchestra was rehearsing Strauss’s Ein Heldenleben. After a break, Anshel, who at the time was concertmaster, delayed his return to the stage, tucking himself behind a door. He watched his associate concertmaster Dave Madison sweat as the devilish violin solo approached: he would have to play it in Anshel’s absence. Minutes ticked by. At the last second, Anshel strolled in playing the solo. He was like that. Funny, a bad boy, beloved. Now we have lost him. At his memorial service on Sunday January 21, I couldn’t help thinking of Huck Finn watching his own funeral. The 30-piece string orchestra was composed of professional musicians who got their start under his baton, playing through their grief to honor him. Anshel’s protégé Clay Couturiaux conducted exquisitely. Even so, I was ready for Anshel to stroll in with his baton and make it all a hoax. One of the huge privileges of working with Anshel on his memoirs (Shoot the Conductor: Too Close to Monteux, Szell, and Ormandy, which we co-wrote) was his gradual opening up to me. His wife Marilyn said it was rare. And yet I’ve learned new things about him since his passing. Elisabeth Adkins, recently retired associate concertmaster of the National Symphony Orchestra, was his concertmaster at the [now] University of North Texas. She said to me, "We were just kids, and playing under him was exhilarating day after day. So, we thought, great, this is what it’s like to be in an orchestra. Then we graduated and were vaguely disappointed for the rest of our lives." An accomplished hornist in college, Hugh Nini remembers, "We didn’t talk to each other about what it was like. It was so good I wasn’t sure I belonged there — we all felt that way. Later, we started talking about it and can’t stop." Hugh’s path led him to classical ballet at the highest international levels, but he said, "Mr. Brusilow shaped my understanding of artistry more than anyone else. He was indistinguishable from the music itself. He showed us what a pure artist is made of and how he uses his gift." Violinist Irene Mitchell observed a transformation: "He carried us along, pulling the best out of us, plumbing depths of musicianship we didn’t know we had." It’s not just his former students who talk like that. In his 50 years as Principal Bassoon at Dallas Symphony Orchestra, Wilfred Roberts played under quite a few conductors. When I first met Will, he said, "Write this down: Everyone who worked with Anshel Brusilow knows he is one of the most enormously, innately talented musicians you will ever come across." On another day, he said, "Things other conductors worked hard at, he did with ease, and in the DSO we saw it every time he stepped on the podium." I learned that Anshel was baptized at the same time as Jennie, his second child. I learned that he participated for years in "Friday Night Sunday School" — poker games with church friends. That seemed like vintage Anshel: The real deal and the parody of the real deal at the same time, because his humor was irrepressible. To go back to the beginning of his career: in Part One, Pierre Monteux launched him into a concertizing career. Anshel wasn’t even nervous soloing with the orchestras of San Francisco, New York, Chicago, Boston, Philadelphia, etc. He always got standing ovations, and they weren’t common back then. But the Monteuxs, especially Madame, mandated the single life. Toss Marilyn Dow aside or we toss you, was the ultimatum. Anshel got married in 1951, and death parted them January 15, 2018. Marilyn and all their progeny were gathered. At the service, his son David’s eulogy tore at our hearts. Part Two is Anshel as Concertmaster. His colleagues adored him and his bosses got mad at him for leaving. Alexander Hilsberg locked him in his office trying to force him to agree to stay in New Orleans. George Szell did force him to stay one more year in Cleveland. Eugene Ormandy, well, it got complicated with Anshel’s conducting on the side in Philadelphia. Ormandy tried to squash that and keep his concertmaster, but Anshel skipped away, like his own playing of Till Eulenspeigel. Some of his fans would have preferred that he stay a violinist, even though his conducting was superb. Naomi Graffman says that she and Gary felt, "If he’s going to play like that, then people need to hear him." But even with a 1743 Guarnerius del Gesù (recently named "The Brusilow"), it wasn’t enough music for him. Part Three is the Maestro. He fared better than Till, but did have rough patches. Under Ormandy’s nose ("impolitic" doesn’t begin to capture Anshel), he formed the Philadelphia Chamber Symphony, auditioning more than a thousand musicians for the thirty-six positions. After more than two hundred performances and two successful records, the money ran out. Next he took over the troubled Dallas Symphony Orchestra. After three years, he returned from a stunningly successful tour of South America to be summarily fired. He never completely understood why, and in Shoot the Conductor we just had to lay out the competing narratives and let the reader choose. He never claimed he hadn’t made mistakes. Not long after that, he told student violinist Irene Mitchell, "If you’re going to make a mistake, make it a big one." Not wanting to uproot the family, he turned to the local universities and discovered the joys of teaching. The orchestra and conducting programs at Southern Methodist University and the University of North Texas underwent a renaissance and graduated brilliant musicians and teachers. Through them, he is still enriching lives. Click here to read the obituary that I wrote for Anshel in the Dallas Morning News. January 28, 2018 at 07:30 PM · I am the horn player/ballet dancer mentioned in this article. 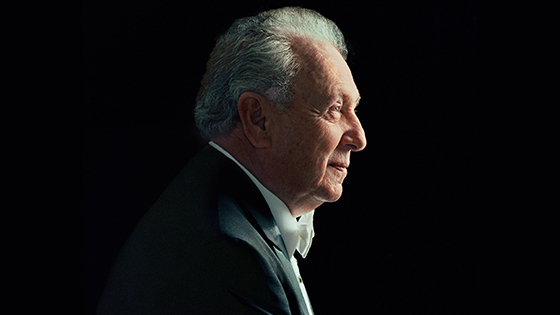 Two of my orchestra colleagues commented above and I want to second both of their sentiments: when Mr. Brusilow stepped onto the podium for a concert he was already in a place we had never seen, or been, before. His downbeat was the beginning of a journey for us, and the audience, to a place where he resided permanently - the heart and soul of music. And we were all changed forever by that. We didn't talk about this at the time, but many, if not all of us, had the sense that we would be lucky to ever experience this again. Though our careers didn't peak in his orchestra, I suspect that privately we all wondered if the pinnacle of our musical experience might not be right here in this (that) moment. For me, and others, it was. And though we've lost a great artist and a kind and gentle person, that experience lives on. We all tried to find a piece of that within ourselves, and like Mr. Brusilow, share it with the world. He made us want to do that. January 29, 2018 at 02:11 AM · In my sophomore year at Indiana University, we played an unforgettable concert with Mr. Brusilow. I remember it like yesterday. The program was J.C. Bach Sinfonia in Bb, Mozart Jupiter, Lieutenant Kije and Firebird. As Ms. Adkins says above, all of my years in major orchestras left ‘vague disappointment’ in comparison. This is very well put. He was one of the true greats and I am eternally grateful to have performed under his baton. January 29, 2018 at 03:43 AM · I have so many wonderful memories of him, I hardly know where to start. First, basically all his concertmaster solos were unequaled in my experience. As a concertmaster he undoubtedly modestly would cede to his (and my) wonderful mentor, Josef Gingold. He was so supportive of me when I debuted with Phily with Wieniawski F# minor Concerto, and was the same wonderful nurturer for my student Mitchell Stern when he debuted with Philly in the Walton Concerto. Ormandy knew better than to try to tone down the "law firm" front stand of violins: "Brusilow, Madison, Rosen and Schwarz". Their zaniness made every guest's 1st experience with that great orchestra a cheerful and memorable one. When Mr Gingold was in his final days there was an unseemly battle for ownership of his violin between his best friend Janos Starker and his son George. Mr Gingold made a special trip to visit Anshel to beg him to step in and make sure George got the violin. Mr Gingold did not have money to leave for George, just the violin, and Anshel was the one person he totally could trust to make things right. (and he did!). Eastman, where I taught for many years, had a succession of deeply flawed Deans. In my 1st year there, Anshel was one of the finalists. All of us on the Strings faculty were thrilled that he might be with us. To our shock, the Dean did not select him, "Brusilow does not act as though it is a big thing to be teaching at Eastman. We will pick one who will be more enthusiastic about being here," We all tried to dissuade that Dean that Anshel was not about to be awed by a teaching position considering everything he already had accomplished, but would transform the orchestra! North Texas is a fine school, but the list of Orchestra leaders Anshel trained there is truly remarkable. January 29, 2018 at 04:53 AM · I was Maestro Brusilow's concertmaster for a week at National Music Camp @ Interlochen, MI in 1979. His week is the most memorable of my 2 summers there - one of the first stories he told us was the vignette about Ein Heldenleben. He & his joyous musicianship showed me a life that I wanted. January 29, 2018 at 04:21 PM · I love reading these messages,learning new things about Anshel. The Eastman anecdote! It's another example of what Naomi Graffman describes as Anshel not behaving properly around "the grownups." 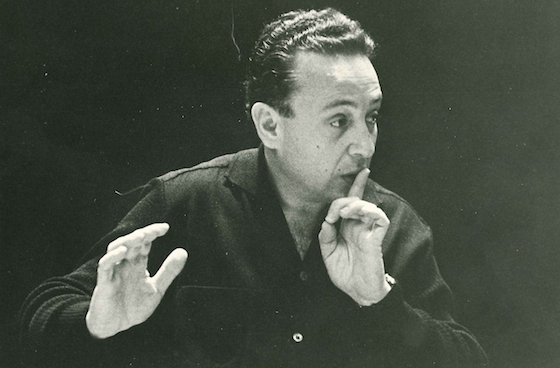 One of things that Maestro Brusilow did at UNT was sponsor a concerto competition that would feature his conducting students at the helm and performing students. I was fortunate enough to be chosen three times to sing with the UNT orchestra. After the first time I chose the Vier Letzte Lieder of Rihcard Strauss. I got to sing two of the four and Elisabeth Adkins played the haunting violin solo. The last time was the Rosenkavalier trio with Jmel Wilson and Sandy Carney. Maestro Brusilow couldn't resist conducting the Strauss pieces. My life has truly been blessed sharing the musical moments with this great man. He was so kind and gracious.